Aeronautical Radio is a major player in providing solutions for systems engineering and transport communications. They are incorporated or came into forefront in 1929. Federal Radio Commission charted them. They had a history of being owned by various aviation companies. Their corporate office is situated in the region of Annapolis. They deal in business for eight industries - airports, aviation, government, defense, networks, healthcare, transportation and security. The company has even undertaken the mission to install computer operated data networks in various police cars and other vehicles. Carlyle Group owns them. They have over three thousand and two hundred employees throughout various locations over the globe. 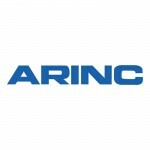 There are currently 0 consumer reviews about Arinc Incorporated available. Share your review. Please take a note that you are about to post a public review about Arinc Incorporated corporate office on CorporateOffice.com. This review will be public, so please do not post any of your personal information on this website. If you would like to contact the corporate offices of Arinc Incorporated, please use their contact information such as their phone number, website, and address listed above to contact them. However, sometimes staff from Arinc Incorporated headquarters do read the reviews on this website.